LOGANSPORT – Special Olympics athletes from Kosciusko County participated in the sectional basketball tournament earlier this month. Local athletes participated in basketball skills and team basketball events. Earning second place in the skills divisions from the Kosciusko team were Knickolas Fletcher, Steven Slater and Crystal Redman. Derrick Dausman earned third place and fourth place went to Brian Bierly, Robert Svinarich and Sandy Bibler. In the team basketball results, the Kosciusko County Panthers lost to the Fulton County Dream Team, 28 – 25, while the Kosciusko County Jaguars fell to the Cass County Lions, 34 – 9. Becky Walls, Special Olympics County Coordinator, would like to thank basketball coaches Joe Baranowski, Joe Conley, Lucinda Conley, Caleb Hipskind, Eric Peckenpaugh and volunteers. 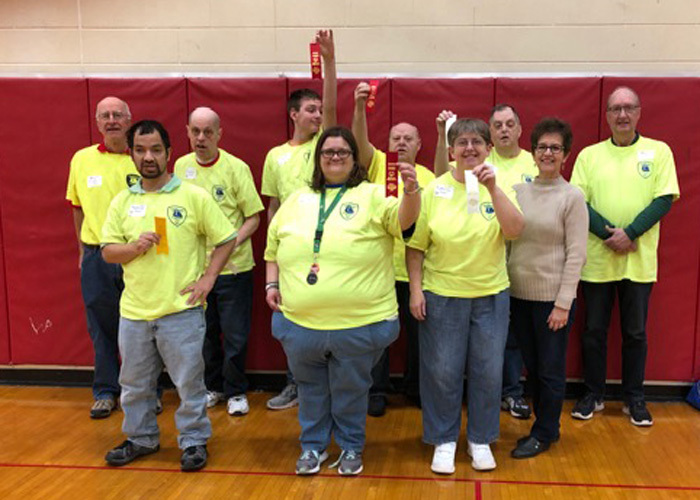 Special Olympics Kosciusko County is beginning preparation for the Indiana State Games, June 7-9, in Terre Haute with spring sports training and competition. This year’s competition will be memorable as Special Olympics Indiana will be celebrating its 50th anniversary.